Disguised as "Shun Mishima," he becomes a teacher, where he runs into an ex-girlfriend who once betrayed him, "Miyuki Jinnai." She hands him a drug, and even though he's been burned by her before, he gulps it down... He changes into a "girl!!" She tells him, "You now have a free pass around the school..."
Why did the ministry send him to this all-girls' school anyway? With the ability to switch identities, will he be able to clear up the mystery at the school? With their big hit, "Green-Green," Groover, will now try their hand at a "transsexual spy adventure" this summer. Many new innovations have been made to their system, and even the characters are more unique and interesting than their previous game! 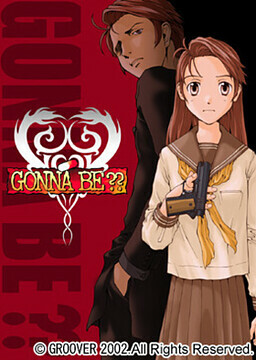 Itou KanakoOP "Roulette ~Gonna Be Somebody~", Insert song "La Vie en Rose (English ver.)"